Water heist during California drought? - What Would Jefferson Do? Water heist during California drought? I believe it is important for conservatives to stay consistent with the facts, and not help the left by muddling the facts with the left’s phony ‘drought’ narrative. As I’ve stated, there is plenty of water in CA, and the ‘drought’ is a man-made issue created for purely political purposes. The problem is not Nestle’ or any other for-profit businesses using CA water; it’s the politicians secretly increasing the pass-through mandates for surface water, now requiring that up to 90% pass directly through to the ocean without being used for human purposes. This is why Lake Shasta and other reservoirs APPEAR to be so depleted – it is not the lack of inflows, but the mandate to open the dam floodgates during low-rain periods and let that surface water ‘pass through’ to the ocean; in other words, eliminating the entire purpose and function of dams and reservoirs (which our tax dollars PAID FOR with the intelligent purpose of avoiding such problems associated with low rain years). Two pictures above tell the story. 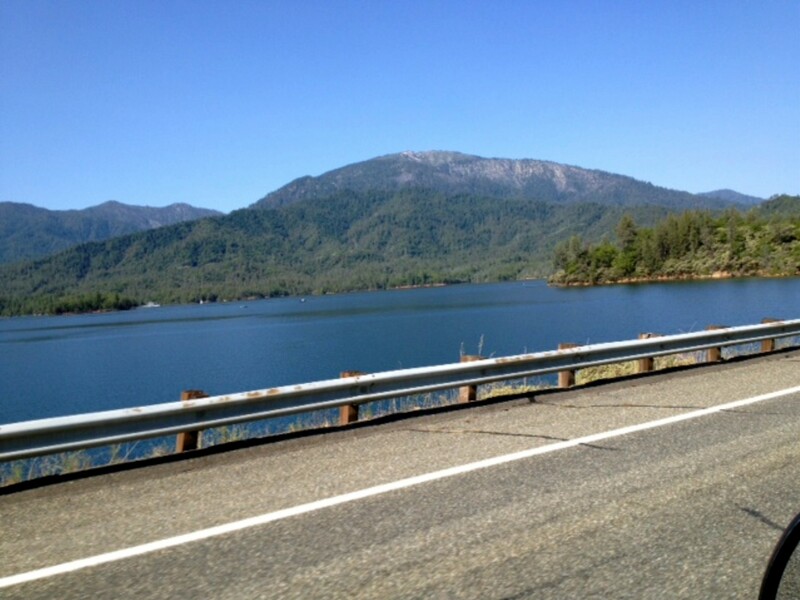 Lake Shasta is under the state-mandated pass-through, and Whiskeytown Lake, 6 miles to the west of Lake Shasta, is at maximum capacity. Why? Because the private water co-op that owns Whiskeytown Lake and operates the dam is refusing a state order to open its floodgates. 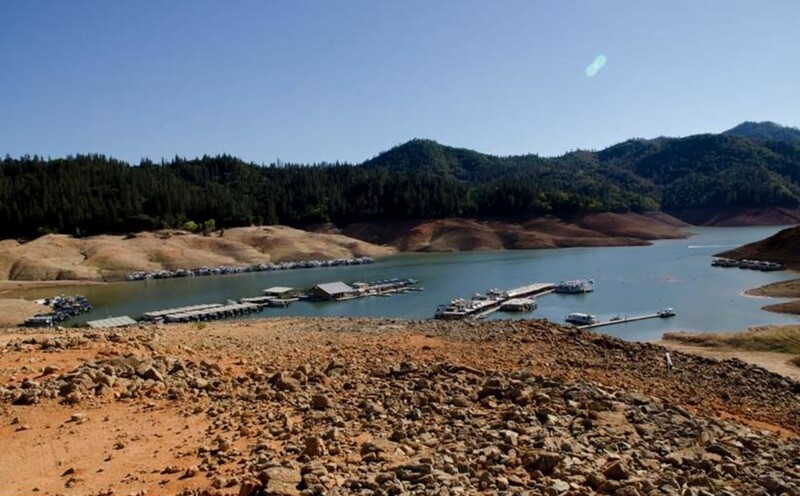 Whiskeytown is following the same summer-season, low-rain protocols it has utilized for 30 years, with plenty of water for the Cache Creek wildlife below the dam as well as for human consumption and agriculture irrigation. Besides putting a strain on the the remaining 10% of surface flows, the higher pass-through mandates also put a strain on ground water, including wells and springs, in the sense that less surface-flow use drives demand to other available sources of water. Again, the arrogant, immoral character of the left is obsessed with seizing, controlling, and using naturally-occurring, God-given water for the purposes of political power and self-enrichment; water that they did NOT pay for and own; they intrinsically have NO MORE RIGHT TO WATER THAN YOU OR I. I believe these points should be included in the ‘California drought’ narrative.